Language Objectives: This lesson will focus on using various ‘how’ question word to ask questions about means of transportation and length of time. Other questions will also be reviewed – where, when. Dialogue Story: Dad is about to leave for the city. The children want to come. They are going to the airport to pick up Freddie’s aunt, Mona. 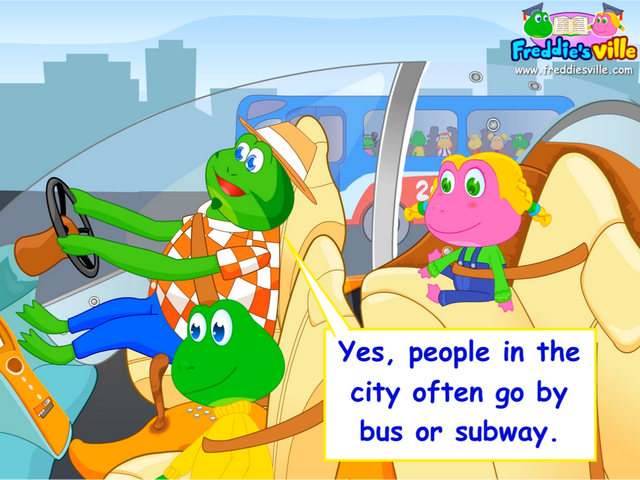 On the way, they choose different means of transportation and talk about it. They also ask many questions related to time.